Somehow, we have replaced common sense and logical thinking with absurd ideas which may sound as if the messenger is going to save the world. What disturbs me is even if I think in more conservative thoughts, I understand that not everyone is that traditional. I don’t expect everyone to think as I do or even people that I care a lot about disagree with me. This is not what I am referring to in this blog message. It is the current lean toward nonsensical thinking. Have any of these been occupying your dreams? I am not an economist or an expert in any field, but because someone has a strong presence and audience does not make what they are saying logical. I want to give an example of how in history we have seen similar individuals who with their promises led the way to many innocent people to die. Free healthcare or low cost plans without explanation of the control by the government for what quality or amount of care the individual receives. Government also controls the waiting time/decisions relating to a specific health issue. Government controls business, industries, wages, benefits, and promotions and/or demotions. Individual efforts are not recognized but loyalty to government is mandated for promotions. Did their free “goodies” appeal to normal good intentioned people? Do you know the results? Study history and let’s not repeat it. Does all of this ring from a sensible bell going off in your head? Millions of otherwise sensible/intelligent people bought and unfortunately paid with this non-sensible temptation with their lives. If it doesn’t, odds are you are listening to the same salesperson as I heard at the dealership and odds are even more in favor, you are thinking without thinking of the consequences and may buy the unaffordable, non-sensible rhetoric. However, we all dream and we have all made non-sensible decisions. We can return to earth and begin to ask “Does 1=1 still = 2?” or do we think 1+1= as many as we think we deserve and need and desire? It doesn’t work ever to go against the basics. Now for the deeper thought: I understand how we should make changes, good sensible changes. I think changes, if carefully thought through and proven, these are affordable and for the betterment of all affected by these same changes are wonderful. Let us use our innate senses and intelligent minds to make those changes. (C) Copyright 2012-2019 Arline Miller with all rights and privileges reserved. Third party material, including photos, is sourced to original location if known for credit reference. Author sippingcupsofinspirationPosted on February 17, 2019 Categories UncategorizedTags #life #blog #inspiration #healthyLeave a comment on WHAT’S SENSIBLE ABOUT NONSENSE? DO YOU TAKE YOUR OATMEAL IN A COOKIE? 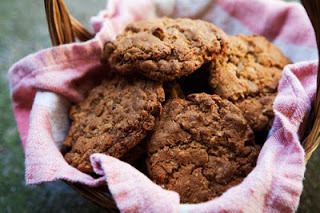 I woke up this morning with one of my fondest memories, watching my Mother looking into the tin container to see how many oatmeal cookies I had made and brought to her as a treat, a love gift, and a thank you for all you did for all of your children. I decided to look this older post up to share the recipe that I adapted from a post (original link available on here) and my adaptation from this recipe. For all who have the opportunity to bake something special for your Mom, please do as I would love to be able to make a big batch and might even double it if I had the chance today. Please enjoy some sweetness in the blog today. Method1 Cream shortening and sugars, add eggs and vanilla and beat well.2 Sift flour, salt, baking soda and cinnamon. Add to first mixture and mix well. Add a tablespoon of water. Add raisins (if using) and nuts. 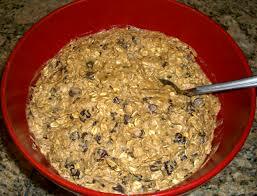 Add oats last.3 Spoon out by heaping tablespoonfuls on to greased cookie sheets. Bake at 350°F. Bake for 10 minutes. Remove to wire rack. Cool completely. Copyright reference for above recipe. Hello! All photos and content are copyright protected. Please do not use our photos without prior written permission. If you wish to republish this recipe, please rewrite the recipe in your own unique words and link back to Grandma’s Oatmeal Cookies on Simply Recipes. NOTE FROM ARLINE: Thank you!My version is taking and cutting sugar by half of the brown and granulated sugar and replacing with honey. I never measure by use taste method but no more than a 1/4 cup unfiltered raw honey. Love this taste. 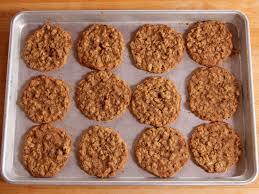 TODAY THE WORDS are OATMEAL COOKIES. We are going to go down memory lane for a visit to my dear Mother’s home before she passed away. As my Mother got older, she cooked and baked less, which is understandable. I began to bring her baked goodies when I would visit her. I started out with a variety of different desserts but it was soon narrowed down to my version of “Grandma’s Oatmeal Cookies”. They had honey in them and they are scrumptious to say the least. I would bring her a container full. She would always eat one as if testing them to make sure they were as good as the batch before. As I would watch her, I received more sweet enjoyment than the cookies’ sweetness. I could tell how much she loved them and she also loved I had made them for her. She had a certain spot the container would be placed when she had finished. Once in a while she would splurge and eat two, but never more than two. As sweet of a memory as this is to me, this is only part of the reason for the topic. Why the oatmeal cookie plays such an important part is not that the cookies were tasty, it was Momma’s rationing of the cookies that will reflect a life’s lesson. When I would call Momma for our regular Saturday morning talk which usually lasted about an hour and a half, one of the things Momma would share is how many cookies she still had and if my Sister had stopped by and had eaten some cookies. My Momma was a wonderful person and she would share whatever she had, but you had to be willing to be frugal with those goodies like she was. I would bring her fresh ones every time I would come so rationing was not necessary. It was built into my Momma to have a willing spirit of anticipation. Now for the deeper thought…...If we would live our lives on Momma’s Oatmeal program, we could enjoy life a lot longer and better. I see many people who devour what they receive in a hurry never thinking if they are going to get hungry soon. We are a living, breathing example of why we should eat a reasonable amount of food and not overindulge. The same goes for the rest of lifestyles. some of them need to be lived (or tasted), We need to savor each day (or morsel). We need to appreciate the love and labor which went into each opportunity with a palette of life. We should exercise moderate portions of life and enjoy each bite (or experience) we are given and not feel as it we are on our last “cookie”. Live life, love life, and live life to the fullest! DAILY FEATURED BIBLE VERSE:\1 Peter 5:8 Be sober-minded; be watchful. Your adversary the devil prowls around like a roaring lion, seeking someone to devour. 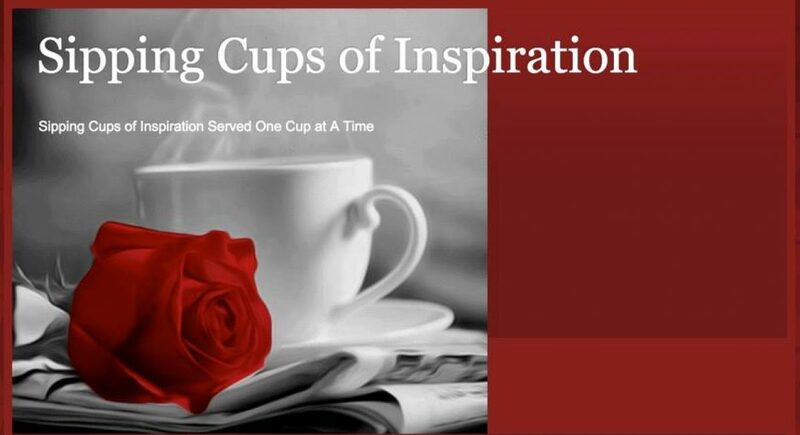 (C) Copyright 2012-2019 Arline Miller of Sipping Cups of Inspiration with all rights and privileges reserved. Third party material, including photos, are sourced to original location if known for credit reference. Author sippingcupsofinspirationPosted on February 10, 2019 Categories UncategorizedTags #life #blog #inspiration #healthy1 Comment on DO YOU TAKE YOUR OATMEAL IN A COOKIE? DID OUR FUN LOVING WORLD LEAVE? Source: DID OUR FUN LOVING WORLD LEAVE? Author sippingcupsofinspirationPosted on January 14, 2017 January 14, 2017 Categories HealthyLiving, inspirational, lessons, life, spiritualTags #life #blog #inspiration #healthyLeave a comment on DID OUR FUN LOVING WORLD LEAVE? Author sippingcupsofinspirationPosted on January 14, 2017 Categories HealthyLiving, inspirational, lessons, life, spiritual, UncategorizedTags #life #blog #inspiration #healthyLeave a comment on DID OUR FUN LOVING WORLD LEAVE?